With an "all screen" design, TrueDepth with Face ID, A12X Bionic processor, next-generation Apple Pencil and more, Apple's newly unveiled iPad Pro is more revolution than evolution. AppleInsider breaks down all the details. The new iPad Pros are completely redesigned, with flat edges around the sides harkening back to older iPhone models like the iPhone SE. Sitting front and center, wrapped in a thin bezel, is the new Liquid Retina display with rounded corners and tap-to-wake functionality. 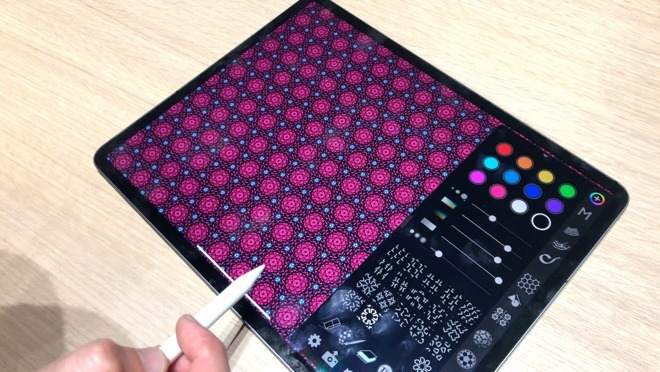 Apple was able to make the shift to symmetrical bezels thanks to the incorporation of Face ID, facial recognition technology that replaces the Touch ID home button available on all previous iPad Pro models. Unlike iPhone, Face ID on iPad Pro works in both portrait and landscape modes, a key feature addition considering the number of users who operate iPad in landscape orientation. Instead of cutting out a notch for its TrueDepth camera array, as it does with iPhone XS and XR, Apple embedded the component stack in iPad Pro's top bezel. Its inclusion grants access not only to Face ID, but also Animoji, Memoji and Portrait selfie features. On the back, iPad Pro gets the same 12-megapixel camera as the iPhone XR, complete with Smart HDR, 4K video recording at 60 frames per second. The only thing it's lacking is optical image stabilization. The 2018 iPad Pro comes in 11- and 12.9-inch variants. The smaller model squeezes its 11-inch screen into a chassis roughly the same size as last year's 10.5-inch iPad Pro. Apple was able to increase display real estate by thinning out the bezels, most readily apparent by the elimination of "chin" and "forehead" areas previously used for Touch ID and the front-facing camera. 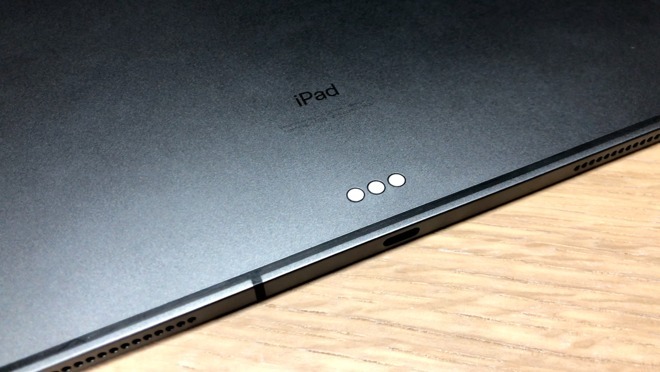 The 12.9-inch model maintains screen size, but reduces excess chassis material. This is great because last year's 12.9-inch iPad Pro was too big for some users. In fact, both models have 25 percent less volume than last year. Both iPad Pro models come in at a mere 5.9mm thick not counting the rear camera bump, making them thinner than any iPad or iPhone ever made. For the first time in an iOS device, Apple opted to incorporate USB-C instead of its proprietary Lightning connector. This means users can connect an external 5K display, extra storage or even charge their iPhone with a USB-C to Lightning cable. As rumored, the 3.5mm headphone jack is gone. Users have to shell out for a pair of Bluetooth headphones — like Apple's AirPods — or buy a $9 audio adapter. Powering the new iPad Pro is Apple's latest A12X Bionic system-on-chip, a 7-nanometer beast that builds on the A12 Bionic in iPhone XS and XR. Like its smartphone siblings, iPad Pro's processor gets the new 8-core Neural Engine — a first for iPad. More importantly, the A12X packs in a new 8-core processor with 4 performance cores and 4 efficiency cores, enough horsepower to run desktop-grade apps on-the-go. An Apple-designed 7-core GPU is said to be twice as powerful as the 12-core GPU in the A10X Fusion. During a keynote event in New York on Tuesday, Apple said the new chip will deliver a 35 percent improvement in single core speeds and a 90 percent improvement in multi-core scores, making it faster than 92 percent of all portable PC processors. Even with all of those performance improvements, battery life stays constant. Apple claims up to 10 hours of web surfing over Wi-Fi, watching videos or listening to music, while cellular-equipped models can expect up to 9 hours of surfing the web on mobile data networks. There's still no official word on how much RAM it'll be packing, but reports on Tuesday claim 4GB for all models save for the 1TB version, which comes with 6GB. The Wi-Fi has also been improved, now supporting simultaneous dual-band connection, and Bluetooth has been updated to Bluetooth 5, like the rest of Apple's recent devices. With the cellular model comes Gigabit-class LTE, just like the new iPhone XS, with support for up to 29 bands. A new 18W USB-C power adapter is included, which means you now get a fast charger in the box. Gone are the days of using a 29W or larger MacBook adapter with USB-C to lightning cable. Apple also updated Apple Pencil to take advantage of iPad Pro's latest feature set. 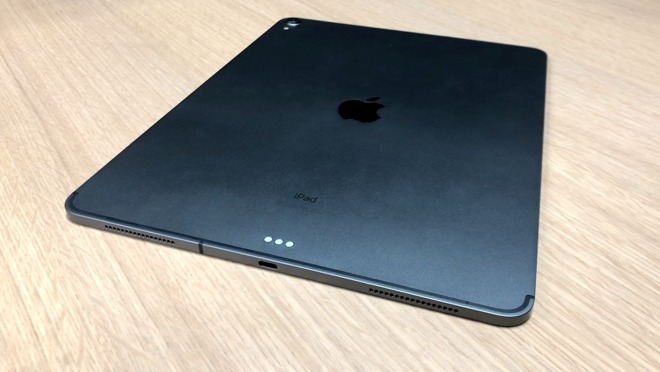 The accessory now features one flat side that attaches magnetically to the side of the iPad Pro for automatic pairing and wireless charging. And that's not the only thing that attaches magnetically. 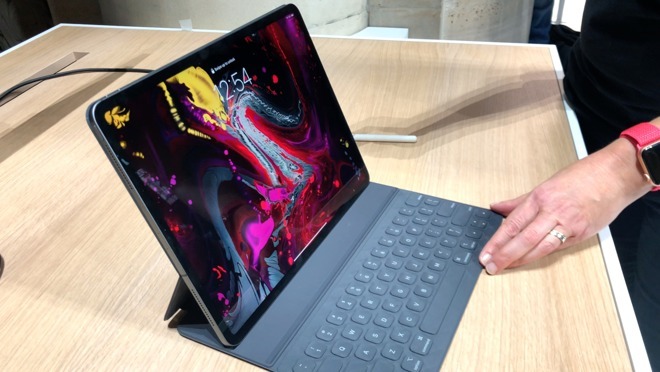 The iPad Pro features 102 magnets in its chassis, allowing the new Smart Keyboard Folio to snap on to cover both the device's front and back. The second-generation Apple Pencil also supports gestures. A double tap on the Pencil body performs remote operations like changing software functions. For example, double tapping Pencil in Notes toggles input between the pencil and eraser tools. 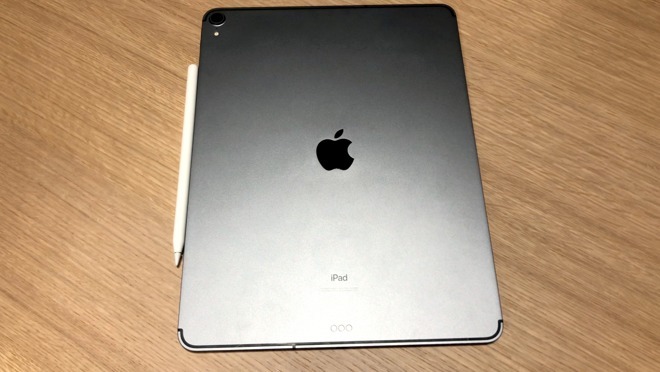 The new Apple Pencil is only compatible with the 2018 iPad Pros, while the older Pencil is restricted to first- and second-generation iPad Pro iterations. Apple Pencil is now priced at $129 and you can get it engraved for free when ordering online. The new iPad Pro can be configured with up to 1TB of storage, putting it in laptop territory. The base 11-inch model comes with 64GB of storage for $799 or $949 for the cellular model, while 256GB and 512GB options tack on an extra $150 and $350, respectively. The 12.9-inch model starts at $999 and goes up from there. For the latest deals and product availability, be sure to visit our 11-inch iPad Pro and 12.9-inch iPad Pro Price Guides.